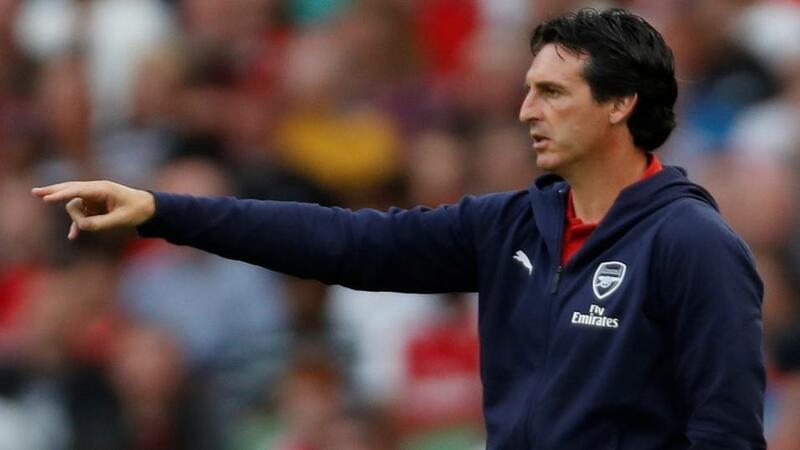 Arsenal have been toughened up by new manager Unai Emery, writes Kevin Hatchard, who expects them to secure top spot in their group. "Arsenal have taken this competition very seriously so far, and their away form is impeccable. Moving this game to a neutral venue has given them an added boost." There's something incredibly sad about Vorskla not being able to play arguably the biggest game in their history on their own ground in Poltava. Due to escalating tensions in Ukraine and the introduction of martial law in some parts of the country (not in Poltava it should be said), the match has been switched to Kiev, which effectively takes away any sense of home advantage. Vorskla have acquitted themselves fairly well in the group stage, and are still in with a chance of reaching the last 32. They gave the Gunners a few things to think about in their 4-2 defeat at the Emirates, and they only lost at home to Sporting because the Portuguese giants grabbed two last-gasp goals. The worry for the Zeleno-Bili (green and whites) is that their recent form in all competitions has taken a nosedive. They have lost their last three matches, and haven't scored in any of those outings. They are by nature a very streaky side - they haven't had a draw in any of their 21 games this term, and you have to go back to May for the last time one of their competitive matches ended all square. In Arsene Wenger's final season at Arsenal, the Gunners won just eight of their 28 away games in all competitions. After Christmas they lost seven of their eight Premier League away matches, with a meaningless 1-0 win at Huddersfield Town providing the only succour. There were allegations of softness and indifference levelled at a team that had once again missed out on a place in the Champions League. The picture under Wenger's replacement Unai Emery could hardly be more different. Arsenal have taken 13 points from their last five PL road matches, and in the Europa League they have won at Qarabag and Sporting without conceding a single goal. There is a toughness and a desire at the heart of Emery's Arsenal, and the former Sevilla and PSG boss deserves huge credit for his work so far. With a north London derby on the horizon, Emery will understandably shuffle his pack for a game that is about winning the group rather than achieving qualification (the Gunners are already through to the last 32). Youngsters Eddie Nketiah and Emile Smith-Rowe may both get the chance to shine, but Emery has taken the competition incredibly seriously so far, so don't expect to see too unfamiliar a team. Arsenal are trading as [1.75] favourites here in the Match Odds market, and I think that's a fair price. They have already won twice on the road in this group, and Vorskla were outclassed at the Emirates, and are on poor form generally. Even with a weakened side ahead of the Spurs game, Arsenal should win this, especially when you consider that Vorskla have been denied the chance to play at home. Arsenal are yet to concede on the road in the UEL, and indeed they have kept three clean sheets in four group-stage matches. Vorskla haven't scored in their last three games in all competitions, so there's certainly an argument to be made for Under 2.5 Goals at [1.89]. Arsenal to invoke spirit of George Graham's Gunners? It's been a while since Arsenal could be relied upon to win games 1-0, but Vorskla have lost their last three matches 1-0, 2-0 and 1-0, and Emery's side won their last UEL away game 1-0. A 1-0 Gunners win can be backed at [7.0] on the Correct Score market, while 2-0 is trading at [8.8].